The L.I.V.E. Digital Method puts real life into the digital world. The L.I.V.E. Digital Method was developed in response to rapid changes in technology. Emerging technologies don’t just rely on graphical user interfaces. Users engage multiple senses to engage with today’s technologies and we’ve developed a framework to evaluate and improve the user experience across multiple touchpoints. We do this through intense focus on your language, interface, and visuals. The outcome is a better user experience. We discover the language that lets you have a real conversation with the user—taking into account where the content is accessed (i.e., website, smart device) and how it’s delivered (i.e., static versus interactive chatbot). This promotes connection, usability, and conversions. We create interfaces that reflect familiar and predicable behavior. We emulate the way people behave in the real world. We find the visuals that have the most impact. Think of it as an online version of dressing for success. 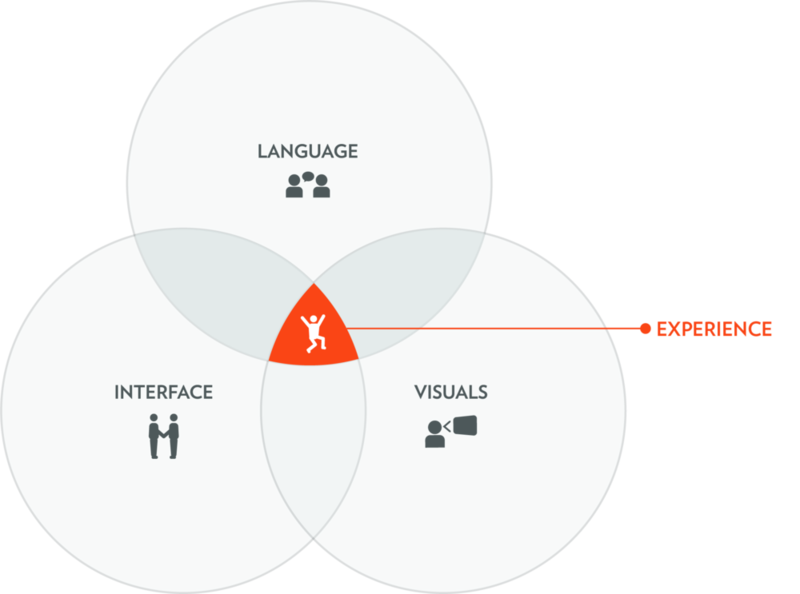 By integrating language, interface, and visuals, we measure, test, and optimize the entire user experience. The result is happier customers and prospects who appreciate your brand, services, and products. Interested in how the L.I.V.E. Digital Method can improve your digital product? The L.I.V.E. Digital Method can only be successful when it’s paired with a cyclical process where your team observes, measures, and improves. Learn more about the process and how it can be applied to your product. For the best results, get your entire team involved. Need your technology-driven team to embrace the L.I.V.E. Digital Method? We provide customizable in-house workshops.